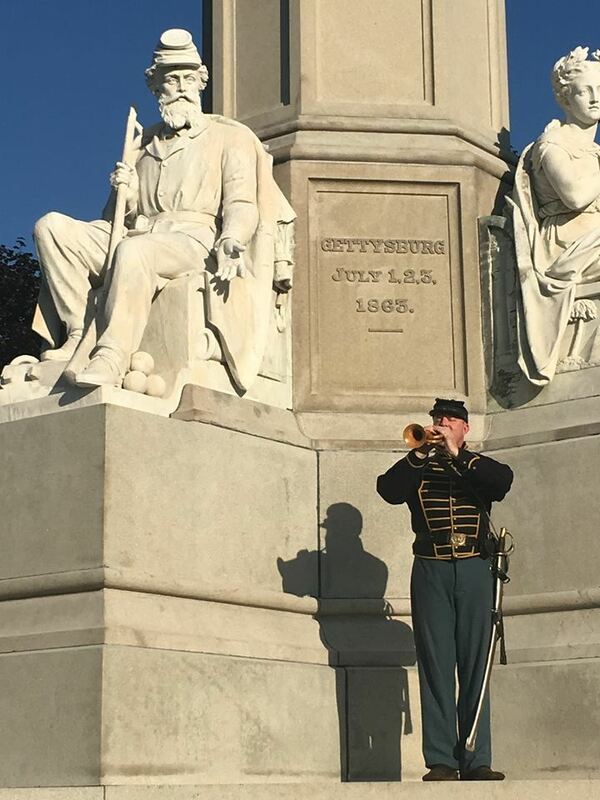 For the third year, the notes of Taps will fill the air in Gettysburg every evening this summer as the famous 24-note call is sounded in honor of those who have served our nation. The Lincoln Fellowship of Pennsylvania, in partnership with Taps For Veterans and Gettysburg National Military Park, invite the public to attend One Hundred Nights of Taps each evening at 7:00 p.m. from Memorial Day, May 27, through Labor Day, September 2, 2019, at the Soldiers’ National Monument in the Gettysburg National Cemetery. More details will be forthcoming on what has become a beloved Gettysburg tradition. TAPS FOR VETERANS is an organization led by former military musicians and active and retired military veterans who understand the profound importance of properly sounding Taps, our “National Song of Remembrance,” as a way of expressing the nation’s gratitude for a veteran’s service.